Poland is situated in the eastern part of Central Europe. It shares land borders with Germany, Slovakia, the Czech Republic, Ukraine, Belarus, Lithuania and Russia (Kaliningrad District). The northern border, 440 kilometers in length, is the Baltic Sea coast line. The country is divided into 16 provinces (województwo), which are subdivided into 308 counties (powiat) and the counties – into 2489 communes (gmina, primary level units). The official language is Polish. Compared to other European countries, Poland is homogenous as regards nationality. It is estimated that no more than 3% of the total population is made up of national minorities. Poland is the seventh largest country in Europe. It has some 38 million inhabitants. Warsaw is the capital city. The Vistula is the longest river (1047 km). Winter is usually cold and snowy (the average temperature for January is -2,5oC); summer is warm with showers and thunderstorms (the average temperature for July is 17oC); spring and early autumn are very pleasant with moderate temperatures and lovely colours. Although in summer it can be hot and dry with temperatures reaching over 30o Celsius, in winter the temperature falls below zero (occasionally reaching -20o or more). Temperature varies in different regions of Poland. It depends on the height above sea level and the distance from the Baltic Sea. In the summer, for instance, temperatures are lower in northern Poland because of the Baltic Sea. The lowest temperatures are in the mountains and the highest in western and central Poland. The time zone is GMT plus 1 hour. When talking about time we very often say 13.00 or 20.00 instead of 1 or 8 pm. Twice a year the time changes: one hour forward in March, and one hour back in October. We have quite a few natural regions – the mountains (Carpathian and Sudeten Mountains) in the south, the plains in central Poland, the lake district (Mazury) in the north-east and the Baltic Sea coast in the north. Every region and city offers unique places to visit. The list below gives an idea of how varied they are. 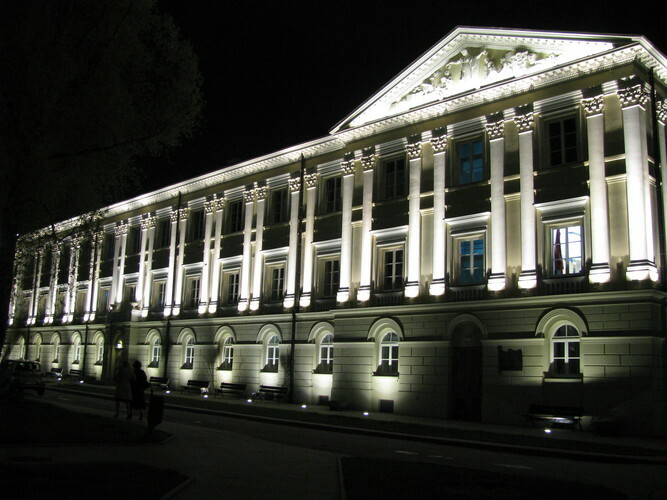 Warsaw – when visiting our capital city you should not miss the chance to visit the Old Town with its unforgettable Marketplace and the Royal Castle (both completely destroyed during World War II and carefully reconstructed afterwards). At Łazienki Park, a big romantic 18th century park close to the city centre, which was the summer residence of the last Polish king Stanisław August Poniatowski, there are lakes, the Palace on the Water, the amphitheatre, and the Monument to Frederick Chopin, where piano concerts are held in summer. 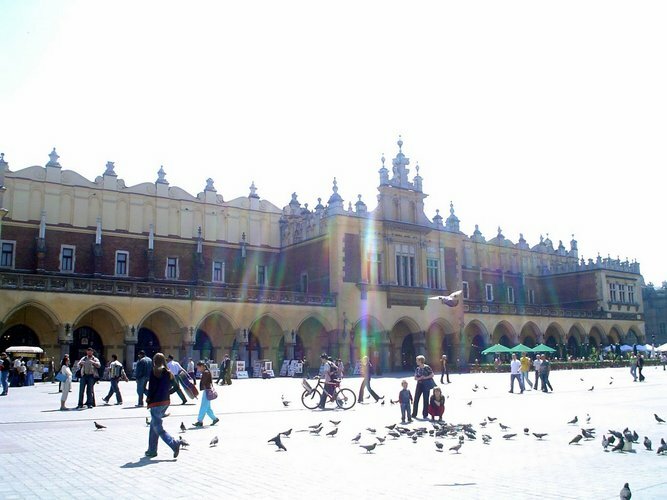 Along the so-called Royal Track there are many historical buildings but also an elegant shopping street – Nowy Świat. Wilanów Palace and its gardens are also frequently visited by tourists and inhabitants of Warsaw. You can also visit the National Theatre and the Opera, the Palace of Culture, and much more… If you have more time, you can visit Żelazowa Wola, where Chopin was born, or the primeval Kampinos Forest; both close to Warsaw. Kraków – the former capital of Poland (11th -17th century) and one of the most beautiful cities. You can visit the Wawel (the castle of Polish kings and the place where the legendary dragon of Kraków had its cave); the Jagiellonian University (founded in 1364 is the oldest institution of higher education in Poland and one of the oldest in Europe); St. Mary’s Church (Kościół Mariacki) – a magnificent church next to the Market Square (the largest medieval square in Europe); and Kazimierz – an old Jewish district. 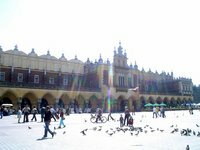 Kraków is registered on the UNESCO World Heritage List. Every tourist will discover their own “magical” Kraków. Wieliczka – a medieval (and still working) salt mine with underground galleries, halls with works of art sculpted in salt, and lakes. Out of 300 km of underground routes, approx. 2 km is open to tourists. The biggest underground chamber has enough room for 500 people. A trip through the underground corridors takes about 2.5 hours. The salt mine is on the UNESCO World Heritage List. Wielicza is located only 12 km from the centre of Kraków. 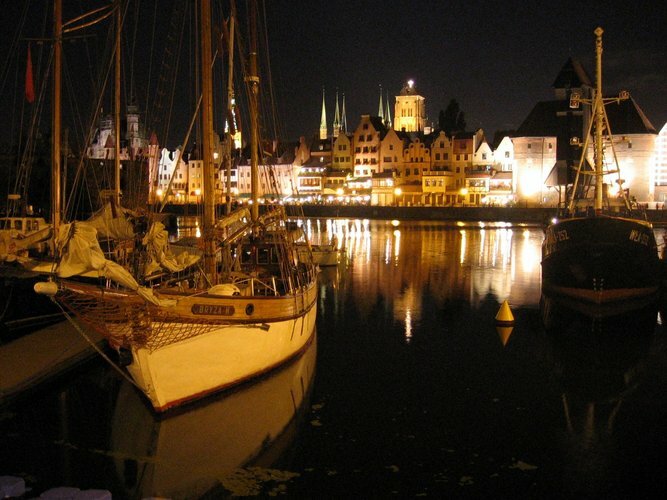 Gdańsk – thanks to its location at the delta of the Vistula river, the city was a centre of international trade in the 16th century. Gdańsk witnessed historical events such as the outbreak of World War II and the establishment of Solidarność. The city is famous for the annual Dominican Fair, which takes place in August, at which time thousands of tourists visit Gdańsk and neighboring Gdynia and Sopot. When you are in Gdańsk we recommend you to take a walk along Długi Rynek and Długa Street, visit the Cathedral of the Virgin Mary (you can climb up the tower and admire the view of the city), the Townhall, Artus Court, and the Cathedral in Oliwa. 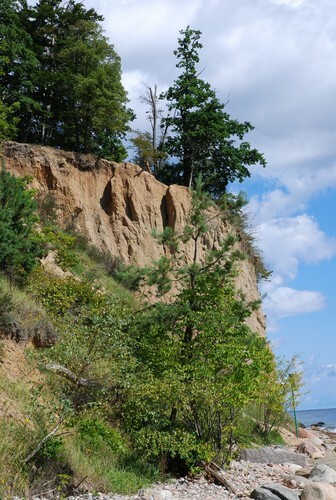 Along the whole coastline (from Krynica Morska to Szczecin) is a stretch of sandy beaches popular among tourists all year round. Malbork – site of the largest medieval castle in Europe. It was built in the 13th century as the seat of the Great Master of the Teutonic Order. You need 4 hours to visit the entire complex consisting of several buildings. Częstochowa – with Jasna Góra, a fortified monastery and church, is the most venerated Polish sanctuary. Every year it attracts thousands of pilgrims. Zakopane, Karpacz, Krynica or Wisła – famous as places to go skiing in the winter, and for walking, climbing and hiking in the summer. In the South we have rocks in fantastic shapes, caves and valleys. Biskupin – an archaeological reservation. Excavations revealed a settlement built of wood over 2700 years ago. The Lusatian culture’s fortified settlement was built on a swampy peninsula of about 2 ha. Jura Krakowsko-Częstochowska – with the Eagles Nest Trail, is a region of calcareous rocks with picturesque ruins of medieval castles. Mazury – the land of a thousand lakes amid old forests. If you like sailing, this is the place for you. We have over 900 lakes in Poland each with a surface area of more than 1 hectare. National Parks – there are 22 of them in different regions. Unforgettable views, plants, birds, fish and other animals of different species living at large, crystal clear streams, rivers, rushes… They all create attractive scenery for those who love contact with nature. Tatra Mountains – the only mountains of the Alpine type in this part of Europe. The whole Tatra Park range is part of a National Park. The expedition to Kasprowy Wierch, climbing up Giewont, Rysy (the highest peak of the Polish Tatry – 2499m), trips to Czarny Staw, or Morskie Oko (lakes), are all very popular among tourists. Poland is a republic governed by a president elected by popular vote for a five-year term. The bicameral National Assembly (Zgromadzienie Narodowe) consists of the Sejm and the Senate. The Prime Minister is appointed by the president and confirmed by the Sejm. In accordance with the Constitution, the Republic of Poland is a Parliamentary Republic. The President, whose office is restricted to two five-year terms, is the Head of State. In July 1989 a joint session of the Sejm and Senate elected General Wojciech Jaruzelski as Poland’s first President since 1952. Presidents have been elected by direct popular vote since 1990, as a result of which Lech Wałęsa became the first President elected by the nation. He was defeated in the next election and a representative of the left wing – Aleksander Kwaśniewski was elected President. Since 2005 Lech Kaczyński has been the President of Poland. The Parliament (National Assembly) is the main legislative body. The 460 members of the Sejm (Lower Chamber) and 100 members of the Senate (Upper Chamber) are elected every four years. Every Polish citizen of 18 years of age and over can vote. 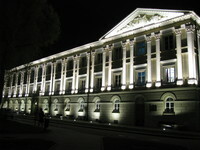 The Government (Council of Ministers) is the main executive body. It is formed by the winning party (or parliamentary coalition) with the Prime Minister as its head. The majority of the population declares themselves to be Roman Catholics (about 90% of Polish people). There are also other religious groups among which orthodox and protestant are the most widespread (respectively 1,4% and 0,4% of the population). Freedom of conscience and freedom of religion are guaranteed by the Polish Constitution. The Church and the State are independent and autonomous. There is no official religion in Poland. The Roman Catholic Church is the biggest Church in Poland. The overwhelming majority (nearly 90.3%) of the population are Roman-Catholic if the number baptisms is taken into consideration (34.9 million baptised people). The Church has the right to run educational institutions, i.e. kindergartens and schools of all types according to canon law regulations and official principles scheduled in relevant Acts (e.g. the Act on the education system, or higher education Act).